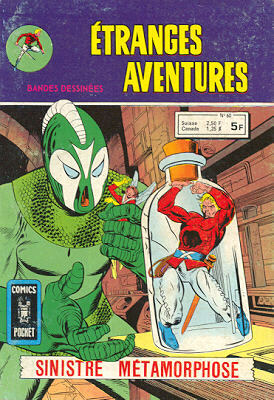 → Strange Adventures (1°) #177 (1) (06/65) Immortal Man - I Lived A Hundred Lives! → Atom (1°) #18 (1) (04/65) The Hole-In-The-Wall Lawman! 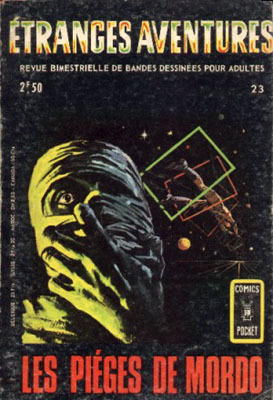 → Atom (1°) #17 (1) (02/65) Case Of The Hooded Hijackers! 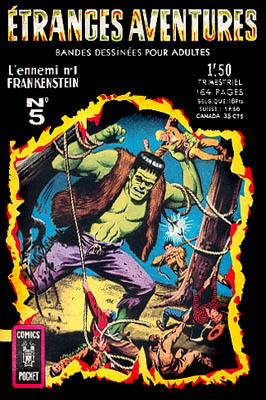 1/ L'Ennemi n°1, Frankenstein ! → Green Lantern (2°) #10 (1) (01/62) Prisoner Of The Power Ring! 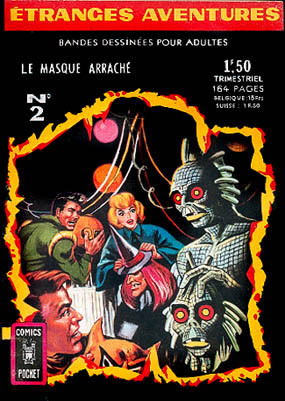 → Strange Adventures (1°) #163 (1) (04/64) The Creature In The Black Light! → Green Lantern (2°) #33 (2) (12/64) The Disarming Of The Green Lantern! → Atom (1°) #16 (12/64) Fate Of The Flattened-Out Atom! 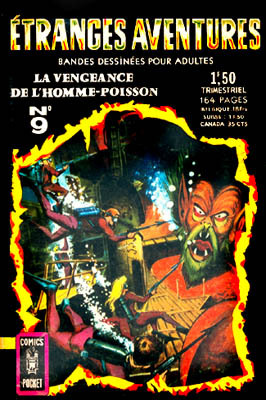 → Atom (1°) #19 (06/65) World Of The Magic Atom! → Green Lantern (2°) #33 (1) (12/64) Wizard Of The Light-Wave Weapons! → Challengers Of The Unknown (1°) #59 (12/67) Seekeenakee... 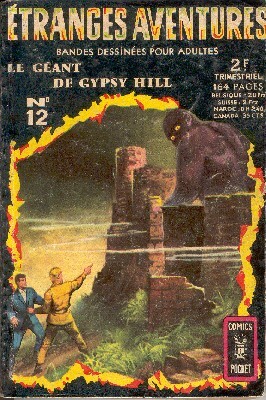 The Petrified Giant! 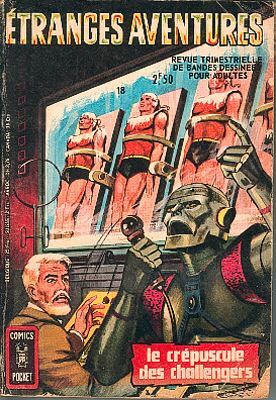 → Doom Patrol (1°) #99 (2) (11/65) Part 1 : The Beast-Boy / Part 2 : That Kid's Not So Green! → Challengers Of The Unknown (1°) #62 (2) (06/68) Red - The Mad Challenger... Me : The Walking Nightmare! 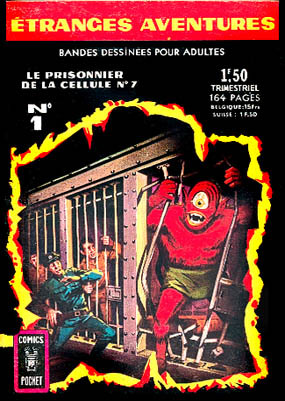 → Strange Adventures (1°) #174 (1) (03/65) The Ten Ton Man! → Atom (1°) #20 (1) (08/65) Challenge Of The Computer-Crooks! 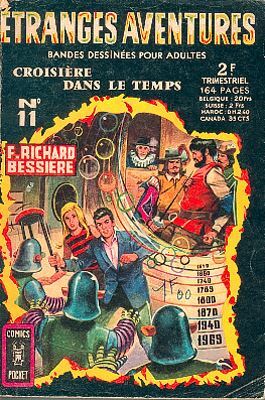 → Atom (1°) #17 (2) (02/65) Time Pool - Jules Verne's Crystal Ball! → Atom (1°) #18 (2) (04/65) The Atomic Flea! → Journey Into Mystery (1°) #67 (1) (04/61) Gruto! The Creature From Nowhere! → Journey Into Mystery (1°) #69 (1) (06/61) I Was Captured By... Korilla! → Journey Into Mystery (1°) #69 (3) (06/61) When Darkness Falls!! → Metamorpho (1°) #5 (03/66) Will The Real Metamorpho Please Stand Up? 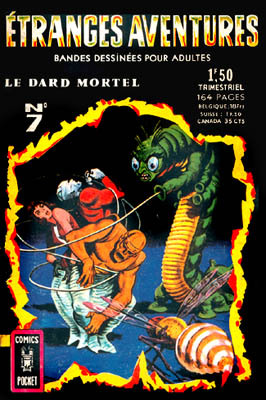 → Journey Into Mystery (1°) #78 (4) (03/62) Monsters On Mercury! 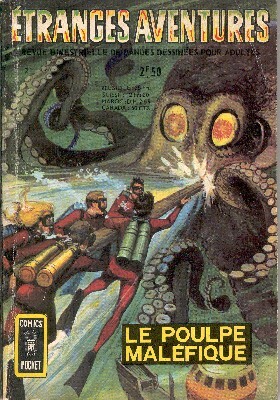 → Challengers Of The Unknown (1°) #54 (02/67) War Of The Sub-Humans! 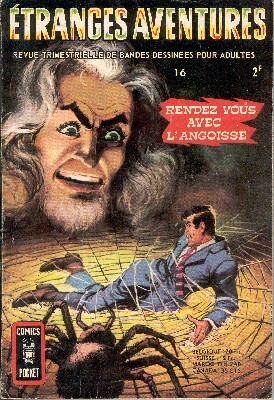 → Strange Tales (1°) #117 (2) (02/64) Dr. Strange - The Many Traps Of Baron Mordo! 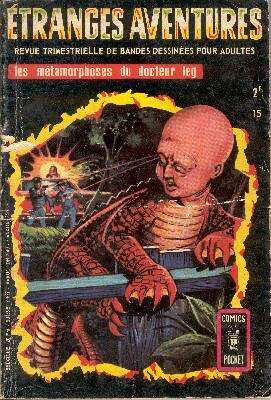 → Strange Tales (1°) #118 (2) (03/64) Dr. Strange - The Possessed! → Tales To Astonish (1°) #61 (2) (11/64) Hulk - Captured At Last! → Metamorpho (1°) #6 (05/66) Never Bet Against An Element Man! 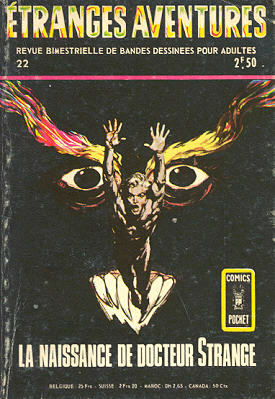 → Metamorpho (1°) #7 (07/66) Terror From Fahrenheit 5,000! 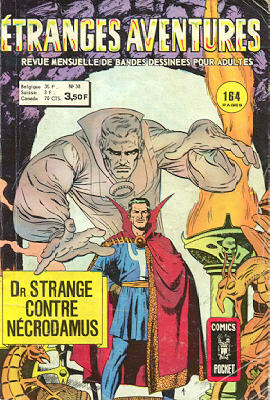 → Strange Tales (1°) #119 (2) (04/64) Dr. Strange - Beyond The Purple Veil! 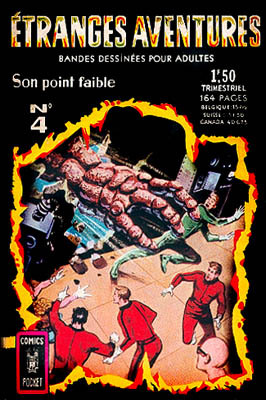 → Tales Of Suspense #35 (1) (11/62) I Accepted The Deadly Challenge Of Zarkorr! 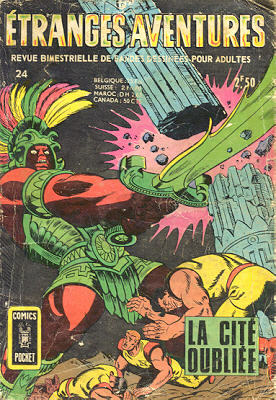 → Tales Of Suspense #35 (3) (11/62) I Must Enter The Tomb Of Tut-Am-Tut! → Tales Of Suspense #36 (1) (12/62) Meet Mr. Meek! The Most Dangerous Man In The World! 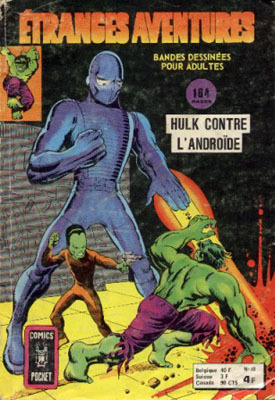 → Tales To Astonish (1°) #62 (2) (12/64) Hulk - Enter...The Chameleon! → Challengers Of The Unknown (1°) #60 (1) (02/68) The Thing That Could Not Die! → Metal Men (1°) #19 (04/66) The Man-Horse Of Hades! → Tales Of Suspense #9 (4) (05/60) Earth Will Be Destroyed! → Tales Of Suspense #30 (4) (06/62) Inside The Fall-Out Shelter! → Tales Of Suspense #38 (3) (02/63) The Man In The Mirror! → Tales To Astonish (1°) #63 (3) (01/65) Hulk - A Titan Rides The Train! 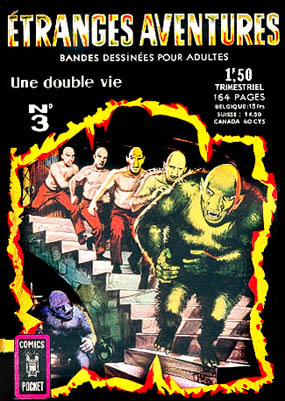 → Tales To Astonish (1°) #64 (2) (02/65) Hulk - The Horde Of Humanoids! 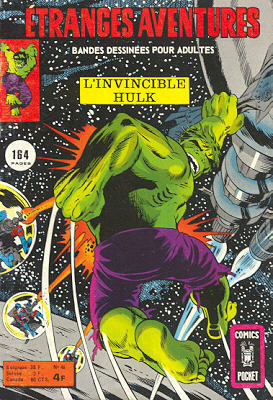 → Tales To Astonish (1°) #65 (2) (03/65) Hulk - On The Rampage Against The Reds! → Tales To Astonish (1°) #66 (2) (04/65) Hulk - The Power Of Dr. Banner! → Tales To Astonish (1°) #68 (2) (06/65) Hulk - Back From The Dead! → Tales To Astonish (1°) #69 (2) (07/65) Hulk - Trapped In The Lair Of The Leader! → Tales To Astonish (1°) #70 (2) (08/65) Hulk - To Live Again! → Tales To Astonish (1°) #71 (2) (09/65) Hulk - Like A Beast At Bay! → Tales To Astonish (1°) #72 (2) (10/65) Hulk - Within The Monster Dwells A Man! 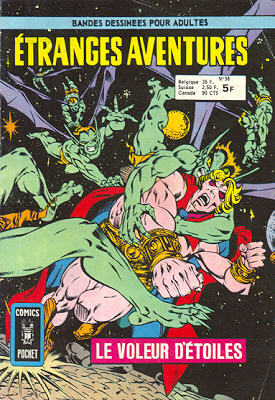 → Tales To Astonish (1°) #73 (2) (11/65) Hulk - Another World, Another Foe! → Tales To Astonish (1°) #74 (2) (12/65) Hulk - The Wisdom Of The Watcher! → Tales To Astonish (1°) #75 (2) (01/66) Hulk - Not All My Power Can Save Me! → Tales To Astonish (1°) #76 (2) (02/66) Hulk - I, Against The World! 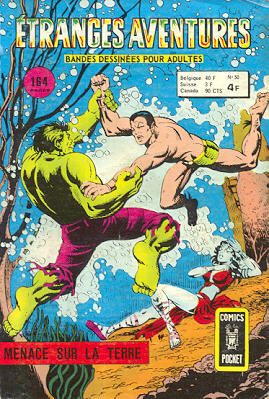 → Tales To Astonish (1°) #77 (2) (03/66) Hulk - Bruce Banner Is The Hulk! 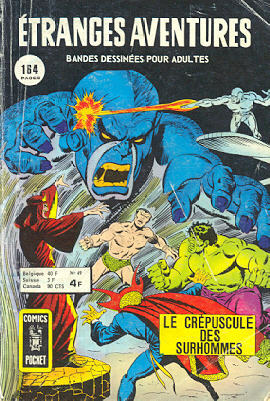 → Tales To Astonish (1°) #78 (2) (04/66) Hulk - The Hulk Must Die! → Tales To Astonish (1°) #80 (2) (06/66) Hulk - They Dwell In The Depths! → Tales To Astonish (1°) #81 (2) (07/66) Hulk - The Stage Is Set! → Tales To Astonish (1°) #82 (2) (08/66) Hulk - The Battle Cry Of The Boomerang! → Tales To Astonish (1°) #83 (2) (09/66) Hulk - Less Than Monster, More Than Man! → Tales To Astonish (1°) #84 (2) (10/66) Hulk - Rampage In The City! → Tales To Astonish (1°) #88 (2) (02/67) Hulk - The Boomerang And The Brute! → Tales To Astonish (1°) #15 (3) (01/61) I Am The Invisible! → Tales To Astonish (1°) #89 (2) (03/67) Hulk - ...Then, There Shall Come A Stranger! → Tales To Astonish (1°) #90 (2) (04/67) Hulk - The Abomination! → Tales To Astonish (1°) #91 (2) (05/67) Hulk - Whosoever Harms The Hulk! → Tales To Astonish (1°) #92 (2) (06/67) Hulk - Turning Point! → Tales To Astonish (1°) #94 (2) (08/67) Hulk - ...To The Beckoning Stars! → Tales To Astonish (1°) #95 (2) (09/67) Hulk - A World He Never Made! → Tales To Astonish (1°) #96 (2) (10/67) Hulk - What Have I Created? → Tales To Astonish (1°) #98 (2) (12/67) Hulk - The Puppet And The Power! → Tales To Astonish (1°) #99 (1) (01/68) Hulk - When The Monster Wakes! → Tales Of Suspense #19 (3) (07/61) The Coming Of Maaboo! → Defenders (1°) #4 (02/73) The New Defender! 42 2e trim. 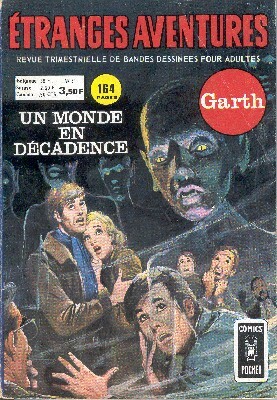 1975 4 FF (0,61 €) 14 / 11 / 8,5 / 6,5 / 2,6 Un monde sans fin ? 1/ Les Défenseurs - Un monde sans fin? 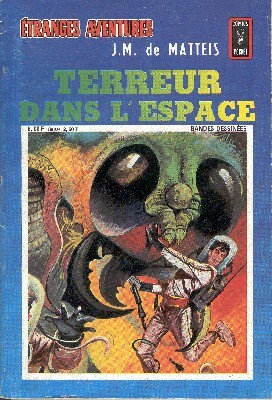 → Defenders (1°) #5 (04/73) World Without End ? → Tales To Astonish (1°) #101 (1) (03/68) Hulk - Where Walk The Immortals! → Incredible Hulk (2°) #102 (04/68) ...This World Not His Own! 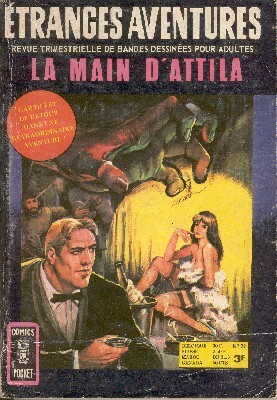 → Incredible Hulk (2°) #103 (05/68) And Now... 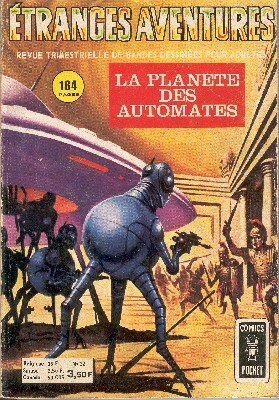 The Space Parasite! → Incredible Hulk (2°) #104 (06/68) Ring Around The Rhino! → Incredible Hulk (2°) #105 (07/68) This Monster Unleashed! → Incredible Hulk (2°) #106 (08/68) Above The Earth... A Titan Rages! → Incredible Hulk (2°) #107 (09/68) Ten Rings Hath... The Mandarin! → Incredible Hulk (2°) #108 (10/68) Monster Triumphant! 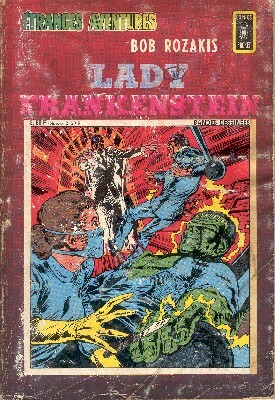 → Ghost Rider (2°) #1 (09/73) A Woman Possessed! 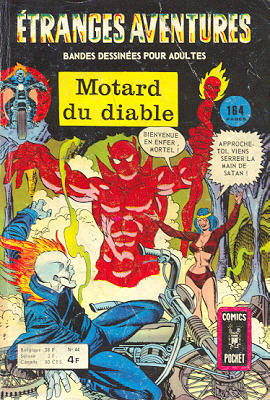 → Ghost Rider (2°) #2 (10/73) Shake Hands With Satan! → Astonishing Tales (1°) #2 (1) (10/70) Ka-Zar - Frenzy On The Fortieth Floor! 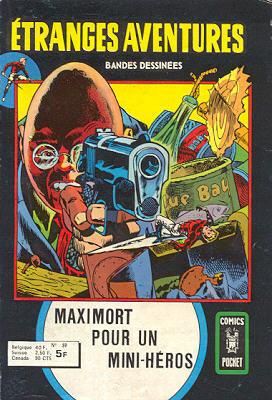 → Defenders (1°) #6 (1) (06/73) The Dreams Of Death! → Ghost Rider (2°) #5 (04/74) And Vegas Writhes In Flame! → Warlock (1°) #5 (04/73) The Day Of The Death Birds! 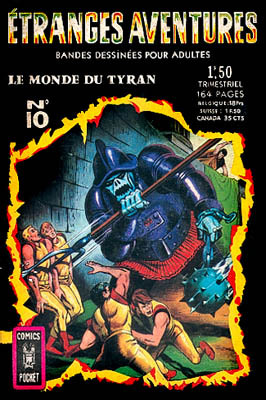 → Warlock (1°) #6 (06/73) The Brute! 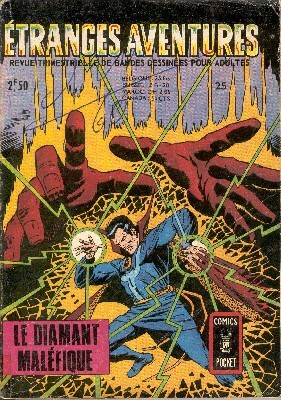 → Warlock (1°) #7 (08/73) Doom : At Earth's The Core! → Strange Tales (1°) #80 (1) (01/61) What? What? What Was Gargantus! → Incredible Hulk (2°) #109 (11/68) The Monster And The Man-Beast! → Incredible Hulk (2°) #110 (12/68) Umbu, The Unliving! 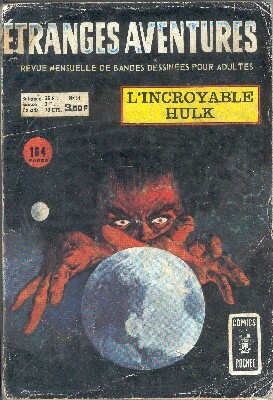 → Incredible Hulk (2°) #111 (01/69) Shanghaied In Space! 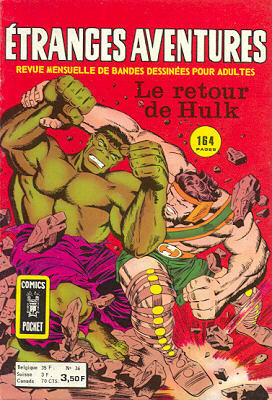 → Incredible Hulk (2°) #112 (02/69) The Brute Battles On! → Incredible Hulk (2°) #113 (03/69) Where Falls The Shifting Sands ? → Warlock (1°) #8 (10/73) Confrontation! → Incredible Hulk (2°) #114 (04/69) At Last I Will Have My Revenge! 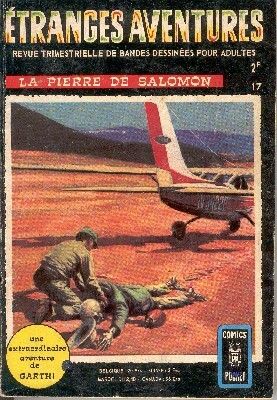 → Defenders (1°) #7 (08/73) War Below The Waves! → Tales To Astonish (1°) #68 (1) (06/65) Giant-Man And The Wasp - Perils From The Long-Dead Past! → Tales To Astonish (1°) #69 (1) (07/65) Giant-Man And The Wasp - Oh, Wasp, Where Is Thy Sting? 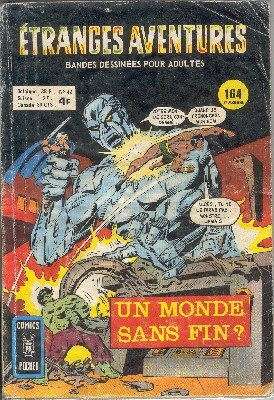 → Incredible Hulk (2°) #117 (07/69) World's End ? 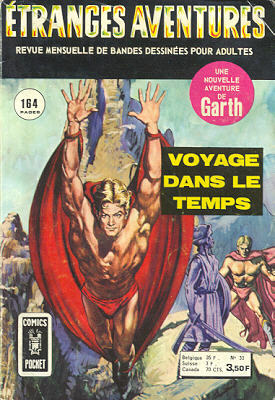 → Journey Into Mystery (1°) #107 (1) (08/64) Thor - When The Grey Gargoyle Strikes! 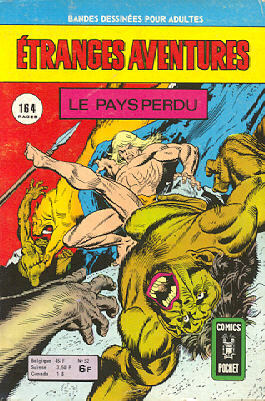 → Incredible Hulk (2°) #119 (09/69) At The Mercy Of... Maximus The Mad! → Incredible Hulk (2°) #120 (10/69) ...The Evil Inhumans! → Astonishing Tales (1°) #8 (1) (10/71) Ka-Zar - The Battle Of New Britannia! → Defenders (1°) #12 (02/74) The Titan Strikes Back! 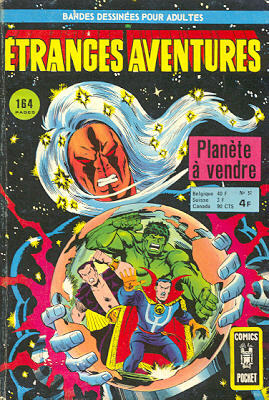 → Defenders (1°) #13 (05/74) For Sale : One Planet... Slightly Used! 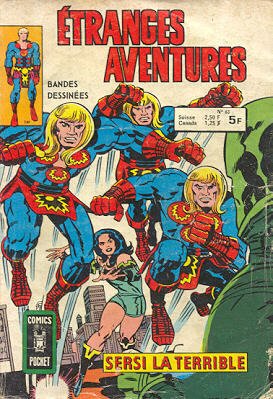 → Defenders (1°) #14 (07/74) And Who Shall Inherit The Earth ? 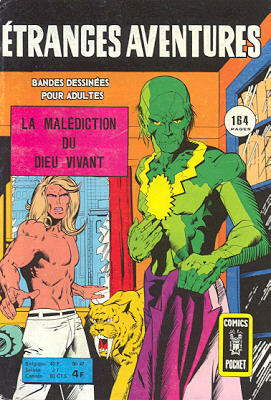 → Journey Into Mystery (1°) #105 (1) (06/64) Thor - The Cobra And Mr. Hyde! → Journey Into Mystery (1°) #106 (1) (07/64) Thor - The Thunder God Strikes Back! 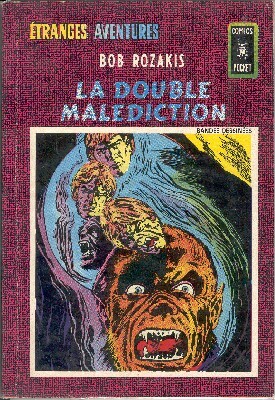 → Incredible Hulk (2°) #121 (11/69) Within The Swamp, There Stirs... A Glob! → Ghost Rider (2°) #7 (08/74) ...And Lose His Own Soul! 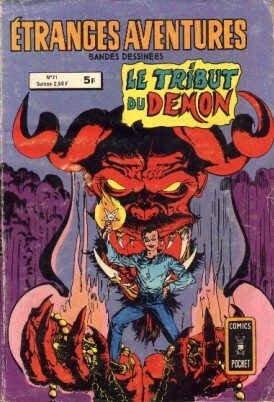 → Ghost Rider (2°) #8 (10/74) Satan Himself! → Ghost Rider (2°) #9 (12/74) The Hell-Bound Hero! 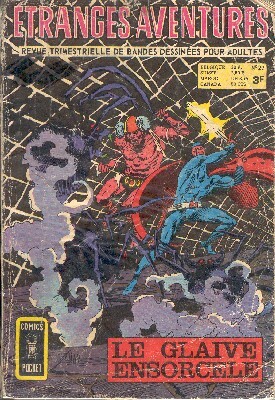 → Defenders (1°) #15 (09/74) Panic Beneath The Earth! 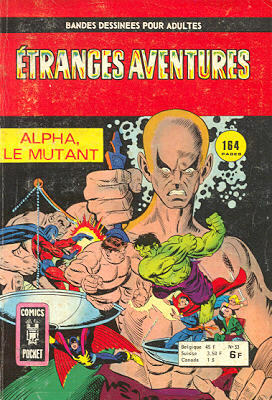 → Defenders (1°) #16 (10/74) Alpha, The Ultimate Mutant! → Astonishing Tales (1°) #12 (06/72) Ka-Zar - Terror Stalks The Everglades! → Astonishing Tales (1°) #13 (08/72) Ka-Zar - Man-Thing! 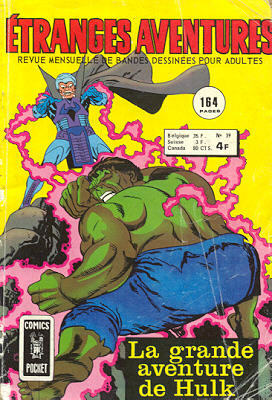 → Incredible Hulk (2°) #122 (12/69) The Hulk's Last Fight! 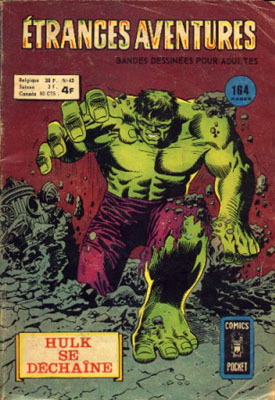 → Incredible Hulk (2°) #123 (01/70) No More The Monster! 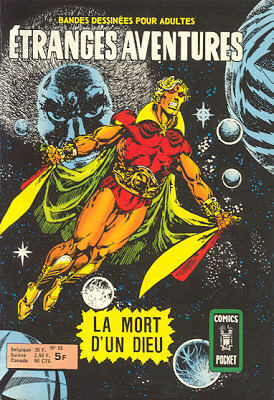 → Strange Tales (1°) #178 (02/75) Warlock - Who Is Adam Warlock? 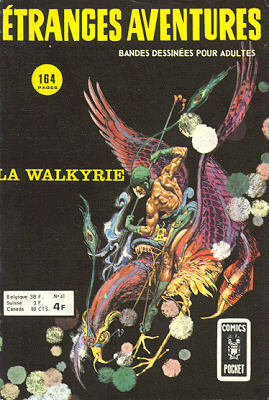 → Strange Tales (1°) #179 (04/75) Warlock - Death Ship! 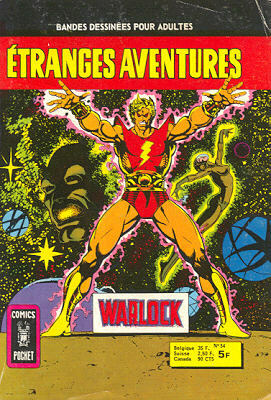 → Strange Tales (1°) #180 (06/75) Warlock - The Judgment! 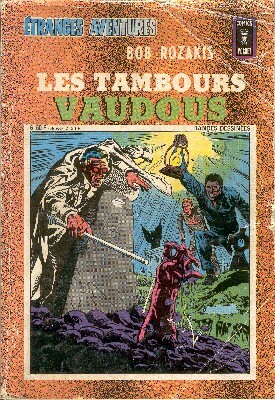 → Strange Tales (1°) #181 (08/75) Warlock - 1000 Clowns! → Astonishing Tales (1°) #15 (12/72) Ka-Zar - And Who Will Call Him Savage? → Astonishing Tales (1°) #16 (02/73) Ka-Zar - To Stalk A City! → Journey Into Mystery (1°) #75 (3) (12/61) The Magic Of Mordoo! → Astonishing Tales (1°) #17 (04/73) Ka-Zar - Target: Ka-Zar! → Astonishing Tales (1°) #18 (06/73) Ka-Zar - Gog Cometh! 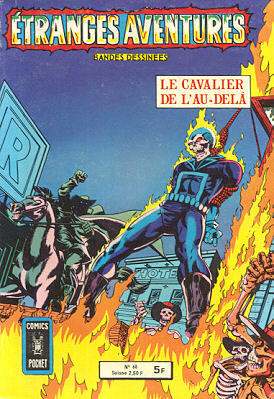 → Ghost Rider (2°) #10 (02/75) Ghost Rider! 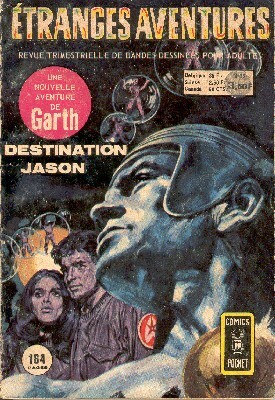 → Ghost Rider (2°) #11 (04/75) The Desolation Run! 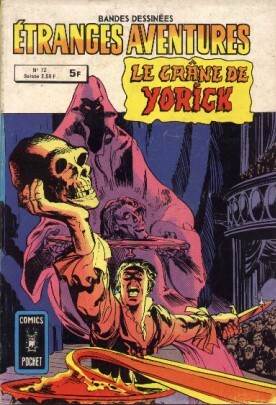 → Warlock (1°) #12 (04/76) A Trollish Tale! 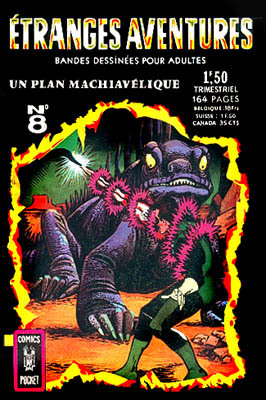 → Strange Tales (1°) #76 (1) (08/60) I Am Dragoom! The Flaming Invader! 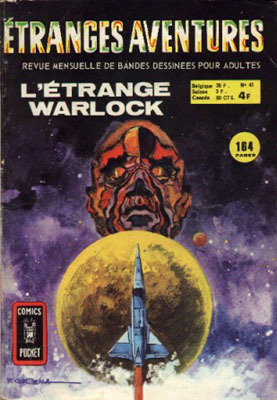 → Warlock (1°) #13 (06/76) ...Here Dwells the Star Thief! → Warlock (1°) #14 (08/76) Homecoming! → Marvel Feature (1°) #5 (09/72) Ant-Man - Fear's The Way He Dies! → Warlock (1°) #15 (11/76) Just A Series Of Events! → Ka-Zar (2°) #6 (11/74) Waters Of Darkness, River Of Doom! → Marvel Feature (1°) #8 (1) (03/73) Ant-Man - Prelude To Disaster! → Ghost Rider (2°) #13 (08/75) You've Got A Second Chance, Johnny Blazer! → Ghost Rider (2°) #14 (10/75) A Specter Stalks The Soundstage! 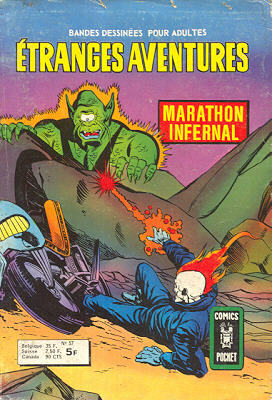 → Ghost Rider (2°) #15 (12/75) Vengeance On The Ventura Freeway! 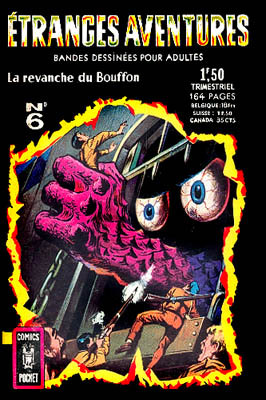 → Journey Into Mystery (1°) #66 (3) (03/61) The Thing Behind The Wall! → Ka-Zar (2°) #7 (01/75) Revenge Of The River Gods! → Ghost Rider (2°) #17 (04/76) Prelude To A Private Armageddon! → Ghost Rider (2°) #18 (06/76) The Salvation Run! 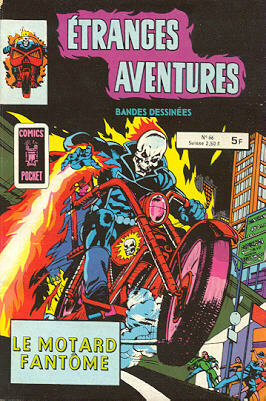 → Ghost Rider (2°) #20 (10/76) Two Against Death! 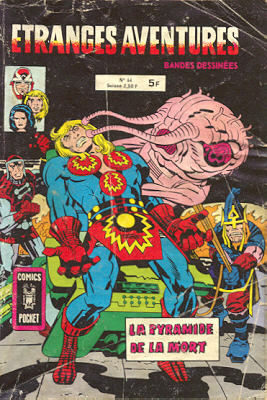 → Eternals (1°) #18 (12/77) To Kill A Space God! → Ghost Rider (2°) #21 (12/76) Deathplay! → Ka-Zar (2°) #8 (03/75) Down Into... The Volcano! → Ka-Zar (2°) #9 (06/75) The Man Who Hunted Dinosaur! → Ghost Rider (2°) #22 (02/77) Nobody Beats The Enforcer! → Ka-Zar (2°) #11 (10/75) The Devil-God Of Sylitha! → Ghost Rider (2°) #23 (04/77) Wrath Of The Water Wizard! → Ghost Rider (2°) #24 (06/77) I, The Enforcer...! 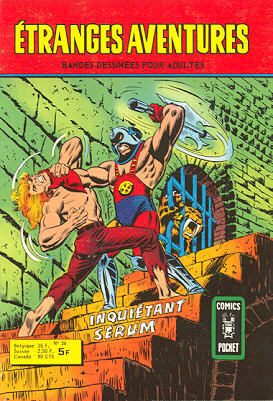 → Ka-Zar (2°) #13 (12/75) The Skull Of The Lizard-Man! → Ghost Rider (2°) #25 (08/77) Menace Is A Man Called Malice! 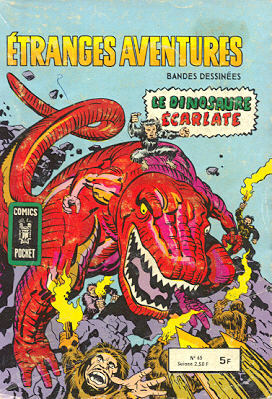 → Devil Dinosaur #5 (08/78) Journey To The Center Of The Ants! 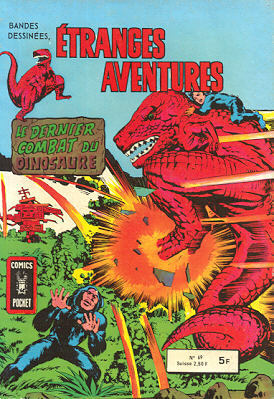 → Devil Dinosaur #6 (09/78) Eev! 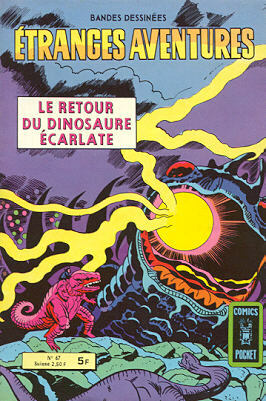 → Devil Dinosaur #7 (10/78) Demon-Tree! → Ghost Rider (2°) #26 (10/77) A Doom Named Druid! 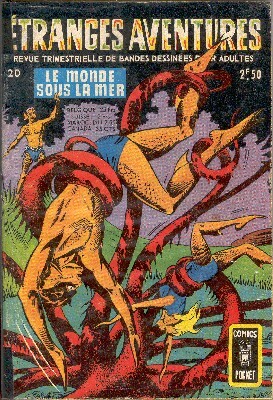 → Ghost Rider (2°) #27 (12/77) At The Mercy Of The Manticore! 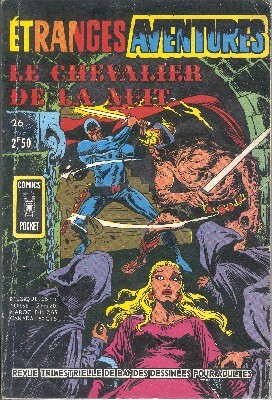 → Ghost Rider (2°) #29 (04/78) Deadly Pawn! → Ghost Rider (2°) #30 (06/78) The Mage And The Monster! → Ghost Rider (2°) #31 (08/78) Demon's Rage! 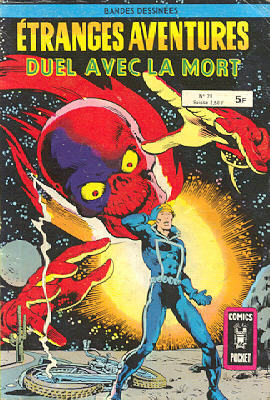 → Ghost Rider (2°) #32 (10/78) The Price! 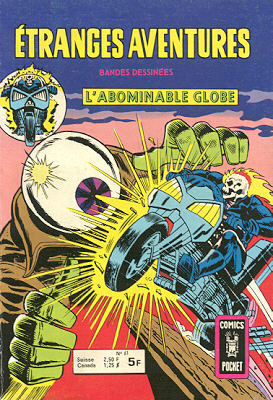 → Ghost Rider (2°) #28 (02/78) Evil Is The Orb! → Ghost Rider (2°) #33 (12/78) Whom A Child Would Destroy! → Ghost Rider (2°) #34 (02/79) The Boy Who Lived Forever! 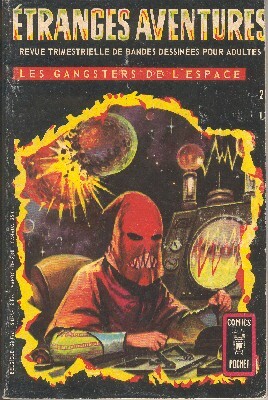 → Ghost Rider (2°) #35 (04/79) Deathrace! 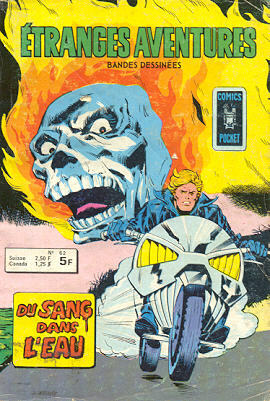 → Ghost Rider (2°) #36 (06/79) A Demon In Denver! 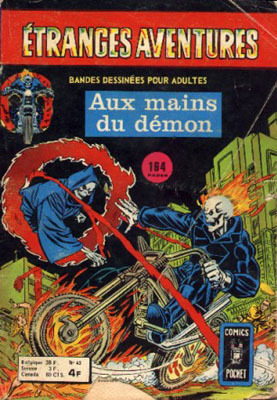 → Ghost Rider (2°) #37 (08/79) Night Of The Flame Cycles! → Ghost Rider (2°) #39 (12/79) Into The Abyss! → Secrets Of Haunted House #7 (3) (08/77) Cain - Double For A Demon! → Secrets Of Haunted House #5 (3) (12/75) Cain - What Am I Bid? 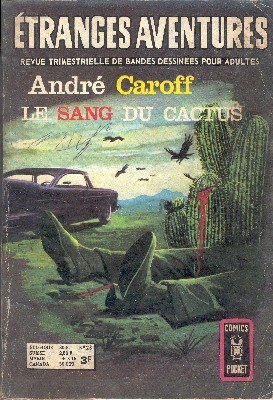 → Secrets Of Haunted House #8 (4) (10/77) Cain - The Strange Case Of The Sloop "San Mateo"
→ Secrets Of Haunted House #9 (2) (12/77) The Man Who Didn't Believe In Ghosts! → Secrets Of Haunted House #10 (3) (02/78) Cynthia - Hell Of A Place! → DC Special Series #12 (3) (2e trim. 1978) The Killer! → DC Special Series #12 (6) (2e trim. 1978) Uncle Dan's Demon! → Secrets Of Haunted House #11 (2) (04/78) Destiny - Picasso Fever! → Secrets Of Haunted House #13 (2) (08/78) Destiny - The Cry Of The Werewolf! → Secrets Of Haunted House #14 (2) (10/78) Nobody Believes In Vampires Anymore! → Secrets Of Haunted House #16 (4) (09/79) Tales Of Destiny - Water, Water Every Fear! → Secrets Of Haunted House #31 (5) (12/80) Tales Of Destiny - The Twice-Cursed Man! → Secrets Of Haunted House #32 (5) (01/81) Tales Of Destiny - Those Who Pass Judgment! 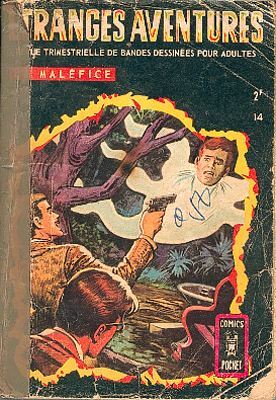 → Secrets Of Sinister House #7 (1) (10/72) Panic! 5/ Ne t'approche jamais de l'eau ! → Secrets Of Sinister House #7 (2) (10/72) As Long As You Live... Stay Away From Water! → Secrets Of Sinister House #7 (3) (10/72) The Hag's Curse And The Hamptons' Revenge! 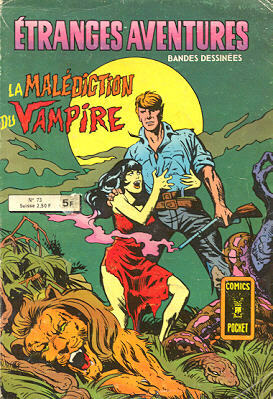 → Dark Mansion Of Forbidden Love #2 (2) (11/71) The Mystery Of Dead Man's Cove! 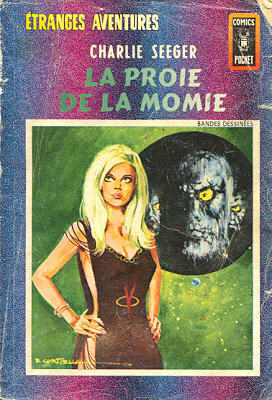 → Mystery In Space (1°) #113 (3) (11/80) The Eyes Of Bekkitt! → Secrets Of Haunted House #31 (4) (12/80) Destiny - The Morbidity Factor! → Adventure Comics (1°) #461 (2) (01/79) Deadman - Pursuit! → Adventure Comics (1°) #462 (3) (03/79) Deadman - The Sins Of The Father...! → Adventure Comics (1°) #463 (2) (05/79) Deadman - Mind Over Murder! → Adventure Comics (1°) #464 (2) (07/79) Deadman - Requiem For A Deadman! → Secrets Of Haunted House #33 (3) (02/81) Destiny - Beware Of Stranglers! 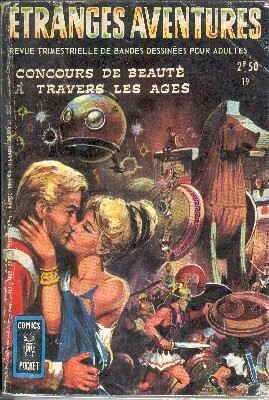 → Mystery In Space (1°) #111 (5) (09/80) Once Upon A Time Machine! → Adventure Comics (1°) #465 (2) (09/79) Deadman - Brick Battleground! → Time Warp #2 (6) (12/79) The Truth! → Mystery In Space (1°) #112 (2) (10/80) Howl! 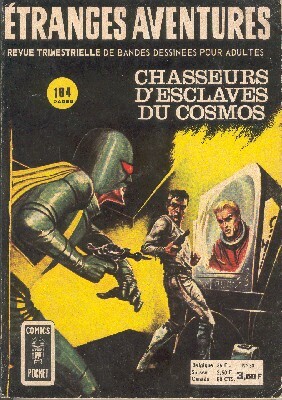 → Mystery In Space (1°) #113 (5) (11/80) Beasts Of Burden!